Sunshine, balmy nights, food, and family recreation – all things we look forward to in the summer. For many, it’s a season when things slow down a bit and worries are further away. To ensure you get the most of your outdoor adventures, care should be taken to control pesky creatures like mosquitoes. Aside from being unwelcome guests that traditionally show up at dusk and bite, mosquitoes can also carry diseases. You may have heard about malaria, yellow fever, and West Nile virus. Zika is another virus that has been getting attention because of its impact on pregnant women. Zika virus is carried by a different breed of mosquito called the Asian tiger mosquito. Not only is this virus a little different from the others in how it impacts humans, but the mosquitoes carrying Zika virus tend to strike during daytime hours, and can lay eggs in very small amounts of water (as small as a teaspoon). Everyone needs to do their part to greatly minimize the number of mosquitoes in the region. The City of Richmond Department of Public Utilities runs its mosquito abatement program from April to October (based on weather conditions) to stop mosquitoes before they breed. This program inspects and treats over 4,000 storm inlets throughout Richmond for mosquito larvae in an effort to reduce the number of mosquitoes. Because mosquitoes breed and populate in standing water, residents should make sure there is little or no standing water on their property. Common at-risk items around the home include birdbaths, flowerpots, children’s toys, wading pools, gutters, and old tires. Be sure to do an inspection on your property looking for these spaces and other less obvious ones, like the creases in lawn furniture cushions or even dents in large rocks. Eliminate any unnecessary items around your home that may hold water. Don’t forget to clear any obstructions from drains or ditches so water can flow freely. It is best to do this weekly. Controlling mosquitoes does not have to be expensive for families, and should not require costly kits or spraying services. If you have a pond on your property or necessary standing water like rain barrels, you might use mosquito dunks which kill larvae, but are harmless to birds, fish, wildlife, and pets. These pellets can be purchased at hardware stores or online. In addition to eliminating breeding places for mosquitoes, you should also protect yourself and your family and friends from mosquitoes that do find their way to your home. Maintaining screens, and keeping doors and windows shut should help prevent mosquitoes from entering your home. Applying mosquito repellant (for adults and children over two months) while outdoors can reduce the chances of being bitten by mosquitoes. Effective repellants contain 20 percent DEET or picardin or oil of lemon-eucalyptus. Be sure to also wear loose-fitting, long-sleeved shirts with long pants when outdoors. Mosquito prevention and control is a joint effort in the City. DPU and the Richmond Health Department work closely together each year in eliminating threats from mosquitoes and the various diseases they carry. Both agencies brief the other on any new developments and coordinate the internal and public messaging with regard to mosquito education. Additionally, staff from both Public Utilities and Public Works are trained and certified in pesticide treatments for mosquitoes. Zika prevention and planning is well underway in Virginia. As the lead agency for coordinating these efforts throughout the commonwealth, the Virginia Department of Health (VDH), and State Health Commissioner Marissa J. Levine, MD, oversee the multi-member, Governor-directed Virginia Zika Task Force and its numerous work groups that cover many disciplines, including response planning, mosquito control and surveillance, communication, maternal and child health, clinician outreach, and laboratory testing. Among the resources available at VDH-created zikava.org is a weekly update of the number of Virginia’s Zika cases reported to the Center for Disease Control, as well as links to specific information and prevention tips for clinicians, pregnant women, travelers, and homeowners. Individuals can also read the Virginia State Zika Response Plan, learn how to eliminate mosquito habitats, and watch informational videos on how to help prevent transmission of the virus. While 80 percent of individuals infected with Zika virus will not become ill, and the symptoms of the disease are usually mild, infection during pregnancy can cause a serious birth defect called microcephaly, and other severe fetal brain defects which have life-long impact. Reduction of the transmission of Zika virus is completely dependent on limiting person-mosquito contact and the control of mosquitoes. The key to controlling the mosquitoes that could transmit Zika is in the hands of Virginians, particularly homeowners. As of today, there have been no locally transmitted cases of Zika in Virginia. All twenty-five cases of Zika in Virginia thus far have been related to travel. Mosquito control does not have to be complicated. The particular type of mosquito that could transmit the Zika virus in Virginia is the Asian tiger mosquito, which breeds only in container habitats that are usually found in yards around people’s homes. Effective control of this mosquito requires everyone to use insect repellent, and to tip, toss, dump, cover, discard or treat containers of water – even the smallest amounts of water – on their property and in their yards. 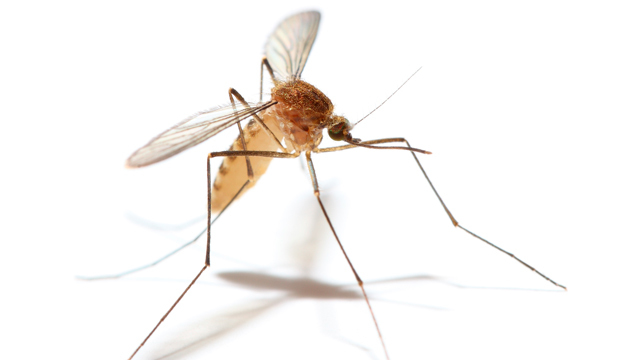 These mosquitoes do not fly far (only about 150 yards) and do not breed in puddles, swamps, or ditches. All of us have an important role to play in mosquito control and Zika prevention this summer. Previous articleHow to Give It Away for Good! Next articleIt’s the Best Part of Summer! Director of City of Richmond Department of Public Utilities Bob Steidel oversees operation of five major utilities: natural gas, water, wastewater, stormwater, and electric street lighting. Steidel began his career with the city of Richmond as deputy director of the wastewater treatment plant in 2003. For thirteen years, he has worked to provide Richmond-area families with clean and safe water from the James River.